There’s no denying yoga is a wellness revolution that is rapidly gaining popularity across the world. As of 2016, 28 percent of Americans had tried yoga at some point in their lives. Of those who practice yoga, 72 percent are women. Today, you can attend yoga classes all over the world. From its beginnings in India, yoga has found its way into studios and living rooms all over the West and many other countries. Retreats are hosted in some of the greatest travel destinations, and there are numerous styles available, making the practice accessible to everyone. But just how did this simple mindful movement become one of the most popular activities? The form of yoga that originated in India looked very different to the typical classes we get today. Initially, it was the name for a four-path plan designed over 4,000 years ago to help followers find unity with God. The movement was an important part of the practice but by no means the main element. Instead, yogis advocated the pursuit of mental discipline, unconditional love, scriptural studies and loss of ego. Physical yoga was merely a channel to achieve some of these qualities, an intricately designed form of prayer used to quiet the mind and cleanse the soul. Considering this highlights how incredible it is that this deeply spiritual and religious practice is so universally accepted and loved. However, as a practice that has shifted and changed over time, this is only the beginning of the yoga story. Hinduism. In his speech, he spoke of tolerance, universal acceptance and the acceptance of all religion as true—the basic tenets of yoga. Immediately, this endeared him to the largely Christian audience. In 1920, another famed yogi arrived from India. Paramahansa Yogananda claimed to have seen a vision that his destiny was to teach yoga in America. He advocated a very simple form, Kriya Yoga, which was accessible to all. It focused on breath control and gentle movement in order to find grounding and clarity. Yogananda was particularly inspired by the works of Jesus and displayed pictures of him at all his studios and centers. As a result, an entire generation of Americans was suddenly able to explore other types of spiritual practice without hesitation. Elsewhere in the West, Vanda Scravelli was a leading Italian yogi of the 1950s. Along with others, she paved the way for a yoga that had nothing to do with religion. Instead, she worked on principle-based approaches that encouraged physical agility and strength. Today, mainstream yoga is similar to Scravelli’s approach. Iyengar, Ashtanga and power yoga are all loosely based on Scravelli’s ideas. These modern forms have helped people all over the world develop confidence, lose weight and relieve stress. It’s a popular choice to maintain both physical and mental strength, and physical therapists regularly incorporate yoga for their patients. Yoga has become a lifestyle. The pursuit of living a more connected, present and, ultimately, happy existence. From those who take a week out every year to visit a yoga retreat to the ones practice morning and night, this movement revolution is helping millions and creating a global community! This phenomenon is in no way isolated to the U.S. The U.K. sees 3,000 yoga classes take place every week; one in 10 Australians practice regularly; and though it’s highly controversial, there is even a billion-dollar yoga industry in Russia. Yoga is also gaining momentum in Africa through the Africa Yoga Project, which is training young people as teachers and spreading yoga to 80 locations in the continent so far! In 2016, the United Nations proclaimed June 21 as the International Day of Yoga to raise awareness of the benefits of yoga, and yogis took to their mats worldwide! The power of the internet has made yoga more accessible to everyone. Resources such as YouTube have transported the practice to points all over the globe. Advances in bypassing censorship mean that even those in internet dark spots, such as China and parts of the Middle East, can wake up and salute the sun with the rest of us! Yoga retreats are available worldwide and offer so much more than just classes. You can spend your days in Hawaii, surfing waves and stretching out or adventure in Thailand while cultivating wellness. There are even yoga centers in Anguilla, one of the top scuba diving destinations! Plus, many top golf courses now offer rejuvenating yogic experiences for your stay. There’s a reason yoga has become a globalized concept: Yoga works! 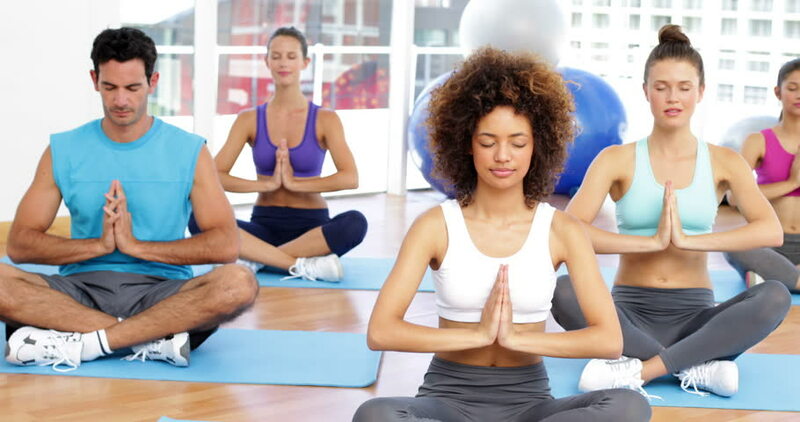 Anyone who’s been to a class will know that even after a single session you can feel the difference in your emotional and physical well-being. The deep breath work allows yoga practitioners to calm their minds. The balancing postures improve focus and clarity. The mindful movement overrides the stresses of daily life and promote relaxation. Achieving this state of active meditation allows many to cultivate patient and tolerant mind-sets. These are only elements of the mental side of the practice. For athletes, fitness fans and those trying to lose weight, the physical rewards of this seemingly gentle workout are too great to ignore. Yoga is an incredibly powerful workout that targets all areas of the body and significantly improves strength, balance and flexibility. Yoga has been around for thousands of years, and it’s only becoming more popular. This wellness revolution has spread to every corner of the globe and changed so many lives in the process. It’s undeniable that the practice is set to take over the world. So, if you’ve yet to test out the myriad of benefits of yoga, then now is the time to start! Look for local classes, or treat yourself to time at some of the world’s most exciting yoga resorts. About the Author: Faith started practicing yoga when she was very young to support her love of dance and surfing. It wasn’t until later that she began to explore the holistic nature of yoga. Now working as a health blogger, she loves sharing all she knows about this vast and versatile practice! Want to create your very own global yoga experience? This is where we shine! We have many luxury destinations around the globe, each with their individual wellness focus, so that you can find the retreat that is perfect for your goals. For starters, you can check out our retreats in Costa Rica and Sri Lanka!